A well-known Dallas lifestyle and health periodical, D Magazine often features advice from prominent local physicians in its “Ask The Expert” series. 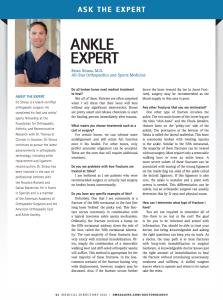 In a recent issue, Dr. Brian Straus, our board certified orthopaedic surgeon, discusses foot and ankle fractures. Depending on the bone and tissue involved, some injuries may require surgical intervention while others can heal more naturally and achieve full function. In the interview, Dr. Straus explains how certain bones require a more ideal alignment to repair successfully, in which case plates and screws may be used to stabilize the injury. Other bones in this area allow for a greater discrepancy in alignment without sacrificing long-term results. Broken bones in the latter category may often be treated with minimal immobilization (such as a removable walking boot). Dr. Straus emphasizes that patients likely will not know which bones are affected and to what degree. He suggests anyone with a foot or ankle injury should seek out an experienced orthopaedic surgeon they trust to evaluate the concern and determine the best course of action. Dr. Straus says one of his biggest frustrations as a physician is seeing patients needlessly undergo surgery when a less invasive method could be effective. He hopes that, by providing informative content in places like D Magazine, patients will have access to a useful medical resource. Individuals can also find information about foot and ankle conditions here on our website. 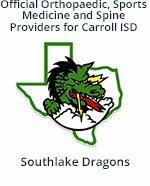 Our practice emphasizes conservative, minimally invasive techniques foremost, and patient care is our highest priority. Talk to us today to learn more.